If you’ve been attacked by a dog, there are various types of dog bite claims that you may file in Philadelphia. 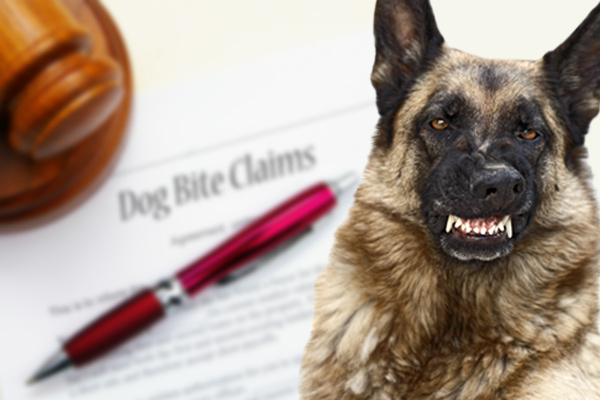 These incidents are filed as dog bite personal injury claims, though they are subject to different laws than traditional personal injury claims are. The state of Pennsylvania specifically structured dog attack claims in a unique way to protect victims, and the laws here are very different than those of other states. As you go forward and work to collect the funds you need to pay for your medical bills and other expenses following an attack, the types of dog bite claims outlined here will have bearing on the outcome of your case, as well as the reparations you can collect. A handful of states are considered “one bite” states, and related types of dog bite claims enable a victim to collect regardless of whether the animal has bitten someone before or not. Other states may not award victims any funds if the animal in question does not have an aggressive history. In Pennsylvania, you can file dog bite personal injury claims regardless of the animal’s history. Most types of personal injury cases require the victim to prove that the defendant was somehow negligent and that this negligence led to the injury. You can think of this in terms of a “slip and fall” case. A restaurant may mop a floor and fail to signal the danger to customers. If someone slips and falls, the business is often considered negligent and must pay for damages. However, if the customer spills his own drink and slips on it, it’s generally ruled that the business could not have prevented the incident, and they are not held responsible for the injuries. A lot of states operate this way with dog bite personal injury claims as well. The victim must prove that the owner violated a leash law or brought a dangerous dog into a situation they should not have. Pennsylvania does not operate this way. The victim does not need to prove that the animal’s owner did anything wrong. Beyond demonstrating that the animal caused the damage and that the animal belongs to the defendant, very little else is needed to prove who the responsible party is. It’s common for a victim to miss time from work and to require ongoing treatment, in addition to the medical bills that are accrued right after the incident. Philadelphia laws allow victims to collect funds for these types of expenses and more under the dog attack claims laws. The different types of dog bite claims may make it easier for a victim to begin a case, but the victim must still prove the extent of his injuries and how those injuries have affected his life in order to receive fair compensation. If you or your child was attacked by someone’s pet, the experienced professionals featured on Philadelphia Dog Bite Lawyer can help ensure you receive a fair settlement so your family is not burdened with debt and can move forward with your lives. Review the profiles and contact the attorneys of your choice for a free case evaluation today.